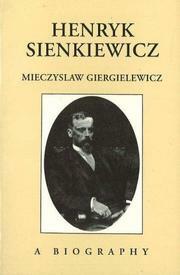 176 works Search for books with subject Henryk Sienkiewicz (1846-1916). Poland, Rome, United States, Africa, Europe, Germany, Italy, Prussia, Prussia (Germany), Switzerland, Warsaw (Poland), East Africa, France, Oblęgorek, Oblęgorek (Poland), Orange County (Calif.), Paris, Radziejowice, Radziejowice (Poland), Russian S.F.S.R. Are you sure you want to remove Henryk Sienkiewicz (1846-1916) from your list?